At AES this week, Harman Professional Solutions will demonstrate the perfect marriage of content and technology by inviting award-winning engineers and producers to share their work in the Harman demo room. From Thursday, September 29 through Saturday, October 1, engineers who have contributed to the works of Miles Davis, The Beatles, Beyoncé, and more will showcase career and industry milestones through the JBL 7 Series and M2 Master Reference Monitors. The JBL sessions will be held in Demo Room 504 of the Los Angeles Convention Center. Multiple Grammy and ACM Award-winning producer/engineer Chuck Ainlay has recorded and/or mixed more than 300 albums, including acclaimed projects with George Strait, Taylor Swift, Miranda Lambert, Lee Ann Womack, Lyle Lovett, Emmylou Harris, and The Dixie Chicks. Ainlay has placed his distinctive production and engineering stamp on projects with Dire Straits and the solo career of Mark Knopfler, Lionel Richie, and others. His work in 5.1 mixing resulted in the groundbreaking 25th anniversary remix of Peter Frampton’s Frampton Comes Alive and the Grammy Award-winning 20th anniversary remix of the Dire Straits album Brothers in Arms. At age 15, Geoff Emerick began his renowned recording career at EMI Abbey Road Studios and advanced to engineer the legendary Beatles LPs, Revolver and Sgt. Pepper’s Lonely Hearts Club Band. He also recorded much of the Beatles’ Magical Mystery Tour, Abbey Road, and The White Album. Emerick continued as an independent producer/engineer on projects with Paul McCartney, Elvis Costello, Art Garfunkel, America, Badfinger, and Jeff Beck. He is the recipient of four Grammy Awards. Nathaniel Kunkel’s diverse discography includes projects with The Police, Lyle Lovett, Carole King, James Taylor, Edie Brickell, Steve Martin, Louise Goffin, John Mayer, Bon Jovi, Everclear, and many others. Kunkel received Grammy Awards for his work with B.B. King and Robin Williams, and an Emmy Award for A&E In Concert: Sting: Sacred Love. Kunkel’s Studio Without Walls is based on a transportable production system that allows him to capture performances wherever the artist feels most comfortable and creative. With three Grammy Award wins and six nominations, producer/engineer Ed Cherney is well known for his work with a wide array of artists. Among them are Iggy Pop, Bob Seger, Bette Midler, Bonnie Raitt, Wynonna, Eric Clapton, Jackson Browne, Bob Dylan, and The Rolling Stones. 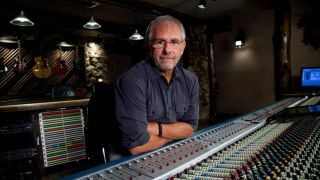 Cherney is the founding member of the Recording Academy Producers and Engineers Wing and has been honored five times as the Mix Foundation TEC Award Engineer of the Year. Most recently, Cherney has been inducted into the NAMM Foundation’s TEC Hall of Fame. Multi-Grammy Award-winning producer/engineer/inventor George Massenburg is world-renowned for his contributions to studio design and signal processing. His career includes legendary projects with Linda Ronstadt, Randy Newman, Lyle Lovett, The Dixie Chicks, Earth Wind and Fire, and more. Massenburg is currently an associate professor at the Schulich School of Music at McGill University in Montreal, is a founding member of the National Preservation Board, Library of Congress, and is an adjunct professor at Berklee College of Music in Boston. Chris Lord-Alge has won multiple Grammy Awards for his work mixing and producing albums for U2, Seal, Bruce Springsteen, Tina Turner, Avril Lavigne, Cher, Muse, Celine Dion, Madonna, Green Day, Bon Jovi, Fleetwood Mac, Black Eyed Peas, The Rolling Stones, My Chemical Romance, and many more. His legacy now extends into the world of music production products with a signature series of plugins. Elliot Scheiner has produced and engineered an eclectic range of artists, including Foo Fighters, Beck, Nine Inch Nails, Faith Hill, Steely Dan, Van Morrison, Fleetwood Mac, Sting, The Eagles, Eric Clapton, James Brown, Toto, Aerosmith, and Beyoncé. Scheiner has received eight Grammy Awards, two Emmy Awards, and three TEC Awards. He also holds an honorary Doctor of Music degree from Berklee College of Music and was inducted into the TEC Hall of Fame. Six-time Grammy Award-winning producer Frank Filipetti has worked with James Taylor, Carly Simon, Billy Joel, Luciano Pavarotti, Elton John, Korn, Barbra Streisand, Meatloaf, Foreigner, The Bangles, and KISS. His Grammy wins include Best Engineered Album and Best Pop Album for James Taylor’s Hourglass, and four Grammy Awards for Original Broadway Cast Albums, Book of Mormon, Spamalot, Wicked, and Elton John and Tim Rice’s Aida. Filipetti played a significant role in the development of JBL’s M2 Master Reference Monitor, which set new standards for sonic accuracy and dynamic range in professional monitoring environments. Based on the technology of JBL’s flagship M2 Master Reference Monitor system, JBL’s new 7 Series Master Reference Monitors were developed from the ground up for next-generation monitoring in music, post production, and broadcast facilities. The new speaker line leverages patented technologies to deliver detailed imaging, extended frequency response and exceptional dynamic range. The 708i and 705i models are the heart of an installed system that is centrally amplified and tuned and scalable for any number of channels in any size room.